Motorcyclists who do not wear motorcycle helmets are at risk of suffering fatal brain injury if they are involved in an accident. Because the fatal risk of traumatic brain injury is very high, it is of utmost importance that motorcyclists wear motorcycle helmet while riding their bike. A full face helmet is designed with a chin bar to cover the top, back and front of a motorcyclist’s head. One disadvantage of full face helmet is the problem with ventilation. 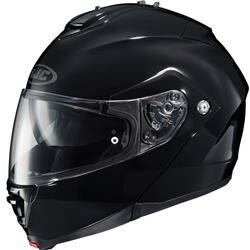 With the full face visor closed, the helmet is like a sealed bubble, so one should look for a well-ventilated, anti-fogging helmet with a removable & washable padding to avoid a smelly helmet. This helmet has a removable chin bar to turn a full face helmet into an open face helmet. 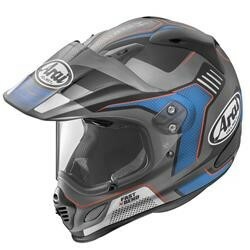 This type of helmet is popular with adventure and sport touring bikers, and work best in an upright or near-upright riding position. This helmet cover the top, back, and sides of the head, but not the face. The benefit is that it has the airy feel and is popular among cruisers and scooter bikers. The open face helmet does not offer protection from rain, dust, sun glare, etc. and bikers have to wear goggles. The half-helmet cover the head, normally from the top of the forehead to about halfway down the back of the head. It is popular with cruisers and vintage bikers. It lacks safety features and has minimal required coverage. Bikers have to wear sunglasses, goggles, or bandannas for facial protection. This helmet comes with a pronounced, angular chin bar, is lightweight and with maximum ventilation. This helmet is unsuitable for highway riding. It is designed to be used with goggles. This helmet falls between off-road and full face helmet. It is designed with built-in visor and a truncated chin bar. It is designed for multipurpose use, both on-road and off-road terrain. When shopping for motorcycle helmet, one must realized that certain helmets are made for certain head size. It is not surprising to find some rather big motorcycle helmets for sale because some people has slightly bigger head size than others. A motorcycle helmet should fit snugly on the head. The helmet should sit level on the head and the front of the helmet should cover most of the forehead.